At VAMBOA, we salute the entrepreneurial drive that members of the military and military veterans display. 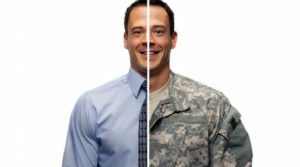 Managing risk, operating with limited resources and working well under pressure are skills learned during military service that serve you well as you start your business. Failing to Have a Plan– Without a business plan to guide your startup and growth, you’ll struggle to make decisions, obtain loans, or bring investors on board. The solution is easy- have a plan. Venturing out on your own requires ambition and a willingness to take risks. Remember that you need to have a plan for how you’re going to make money. A written plan helps you stay focused on the right customers, opportunities and business objectives and on course. There are many tools available online to guide you through the process of writing your business plan. Failing to Define Your Purpose– Many businesses never define their real purpose for existence. Americans want to give back to those who serve, so make sure your military/veteran status is front and center. If you give back a percentage of your profits to a cause, promote that! Let your clients know your mission. Failing to Understand your Customers– It is not enough to have a good idea. Make sure you conduct market research to pinpoint your ideal target customers, and then create dynamic messages that solve a problem, meet a need, or fulfill a desire. Waiting to Long to Hire Employees or Hiring the Wrong Ones – Are you trying to save money, or do you just not want to delegate anything? Both of those will cost you in the long run. The greatest mistake entrepreneurs make is to believe they can do it all by themselves. Hire carefully and thoughtfully. Don’t wait until you are desperate for help. Delegate small tasks or outsource the tasks you need help with until the right team is in place. Hire people who can grow with your business. Losing Focus of your Cash Flow – Finding small business financing can be time-consuming, and if you wait until you really need the money, you may be forced to settle for more expensive options. Stay on top of your cash flow and keep in mind that applying for financing while your business finances are in good shape will increase your chances of approval. 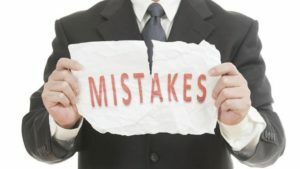 Once done with these key steps – you will then be well on your way at optimizing your business and avoiding common mistakes! Many veteran business owners and VAMBOA members began their entrepreneurial journey by launching E-commerce websites. 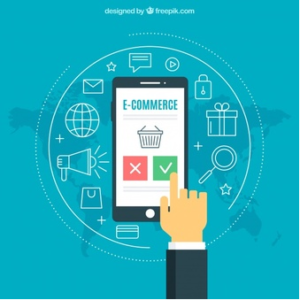 E-commerce, short for electronic commerce, is also known as internet commerce and refers to the buying and selling of goods or services via the internet, as well as the transfer of money and data to execute these transactions. It begins with reaching your audience. If you’re looking to do business online, that’s where you are going to find the majority of your customers. So purchase your domain name, design your web site and set up your social media accounts. Blog, blog, blog. Add a podcast. Optimize your store for mobile. If you aren’t great with technology, outsource the things you need help with. For example, when your customer adds a product to their cart, does your web site immediately let them know what others products previous purchasers have added-on as a suggested bundle? If a customer is about to abandon their cart, does your website know how to entice them back? If you don’t know how to build in these options, outsource them to someone who does. Because you are at a disadvantage when it comes to your customers being able to see and touch (and smell) your product in-person, offer incentives such as free shipping or a money back guarantee if it makes financial sense to do so. Encourage your existing customers to leave reviews of your products by offering a percentage discount on their purchase to thank them for their time. Start building a sales funnel. Think “Do you want fries with that order?” If your customer comes in for one thing, you’re going to ask if they’d like anything else before they cash out. The more value you add — through freebies, up sells, and add-ons — the more trust you’ll build with your customers, and customers who trust you will spend more. Building a good relationship with your customers will increase the chances that they will refer others to you, boosting your business even further. When it comes to having online visibility, nothing is more valuable than your company’s website. Having a strong, professional destination gives customers the impression that you mean business, and the motivation to want to engage more with your business. Because most small businesses don’t have the resources to launch a full-scale marketing campaign, your website is where many consumers will decide whether or not they want to engage with you. They’re likely to dismiss you entirely should they believe your website doesn’t reflect the kind of experience your business should offer. Keeping that in mind, if you have a bad website, it’s better to have no website at all. 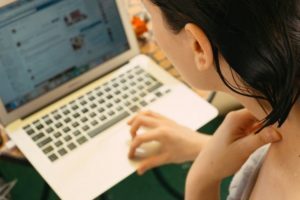 Yes, having no website equals missed opportunities, but a bad website can actually be worse since it literally can make your business look bad. The first area of major importance is your homepage. This is where you tell your visitors exactly what you do with a clear, easy-to-find value proposition. The homepage navigation should be easy to use, and the page should include links to your social media and your contact information. Additionally, you should have high-quality images that are original. You don’t want visitors to see the same image on a thousand other websites. If you have a blog, this is the heart of your content strategy. Encourage people to view and subscribe to it by highlighting it on your homepage. Next you want your about us page to explain your values, tell your story, and introduce the people behind your business. Good stories humanize your brand, providing context and meaning for your product, so skip the stiff intro and tell your story in your own words. Conversions, revenue, business and profit- they all depend on calls to action. Whatever action it is meant to compel, your calls to action text need to say what you mean and mean what you say. Be clear and direct, and make sure the button performs as advertised. Use action words such as Order, Subscribe, Buy, Get, Learn, Discover, etc. Calls to action should appear throughout the website, not just on the homepage. The last tip is to be mobile-friendly. Since more and more people are turning to their smart phones to browse the internet, a responsive site is a must. A great website is one that lots of people visit and who hopefully convert – whether that’s a sale, a lead, or interacting with an element on the page. VAMBOA: What Do You Need for Your Small Business to Succeed? Bottom line, it takes hard work, know-how, and tremendous determination for owners of small firms to be successful. Small business ownership is not about avoiding a forty hour work week, as many business owners put in closer to eighty hours a week to get their businesses up and running. Close to 40 million businesses are started each year. Of these, approximately 350,000 survive and make money. So how can small business owners overcome the odds and make their company one of the success stories? Some of the keys to success depend on luck and timing. But many successful people and companies have sworn by a few key factors of success that they rely on, again and again. Have a plan: Everyone in the business world agrees that having a plan is important. But plans don’t have to be big undertakings. Nor should they be a bar that you must always measure your current situation up against. Plans should start small, and expand over time. Initial plans should include identifying your target customers/clients, figuring out what their needs are, and how your business is going to meet those needs. Internal plans include establishing responsibilities, setting realistic short and long term goals, and devising ways to track your company’s performance. Build a Dream Team: Just like in sports, one player cannot win championships. Yes, superstars make winning easier. But teams win when everyone knows their roles and plays their positions well. You may be a superstar worker at your company, but you can only do so much. Surround yourself with great players who are willing to follow your lead and play within your system. And don’t be afraid to add a few other superstars to your team, they can only add to your team’s talent level. Consider your product: Is there demand for your product? Does it solve a customer’s problem? Are there products similar to yours in your market? How can you improve upon or out-do your competitions’ product or product delivery method? While running a successful business does require a lot passion, it must also fill a need (or serious want). And once you decide on a product, be sure to use your passion for your product to ensure that it is the best product of its kind in the market. Constantly re-evaluate your process: Once you have the right product, people, and plan in place, it is important to generate and constantly improve upon your company’s process of creating, selling and distributing your product. 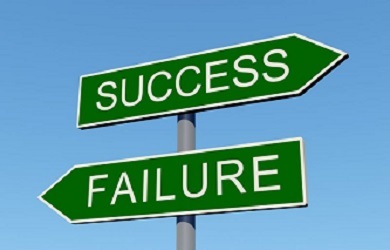 Most business fail to do so, and as a result, fail to meet customers’ expectations. These expectations fluctuate, so it is important to stay on top of consumer trends. The Veteran and Military Business Owners Association (VAMBOA) is a non-profit business trade association that promotes and assists Veteran Business Owners, Service Disabled Veteran Owned Businesses (SDVOB) and Military Business Owners. Small businesses are the backbone of our economy and responsible for job generation. That is why VAMBOA provides its members with Business Coaching, Contracting Opportunities, a Blog that provides information, Networking contacts and other resources. Membership is FREE to Veterans. Join Now!